Sculpted by master sculptor Steve Pinney, these full scale replicas capture all the detail and grandeur of the originals. 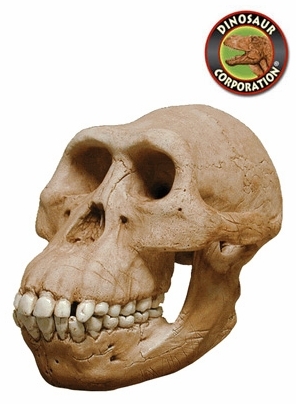 Australopithecus afarensis is an extinct hominid which lived between 3.9 and 2.9 million years ago. In common with the younger Australopithecus africanus, A. afarensis was slenderly built. From analysis it has been thought that A. afarensis was ancestral to both the genus Australopithecus and the genus Homo, which includes the modern human species, Homo sapiens.